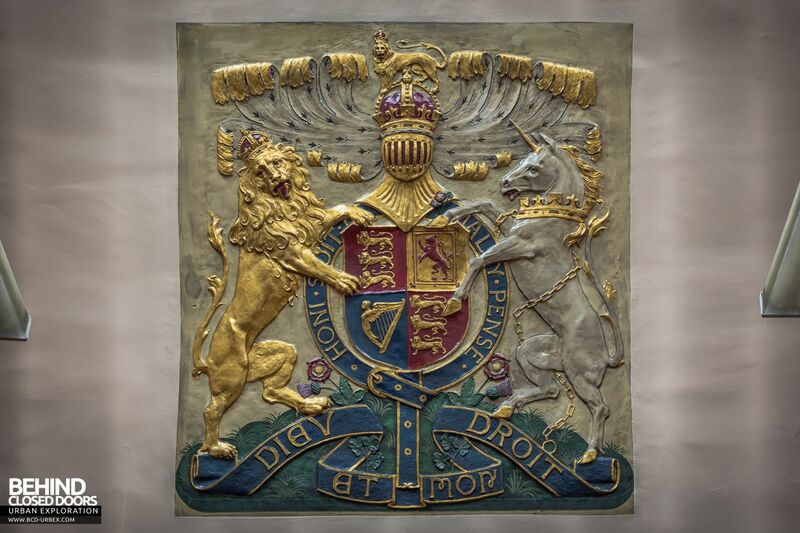 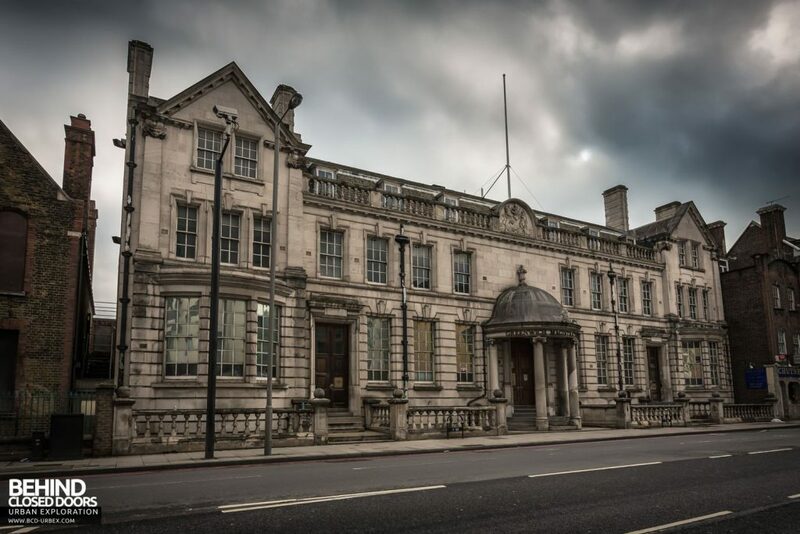 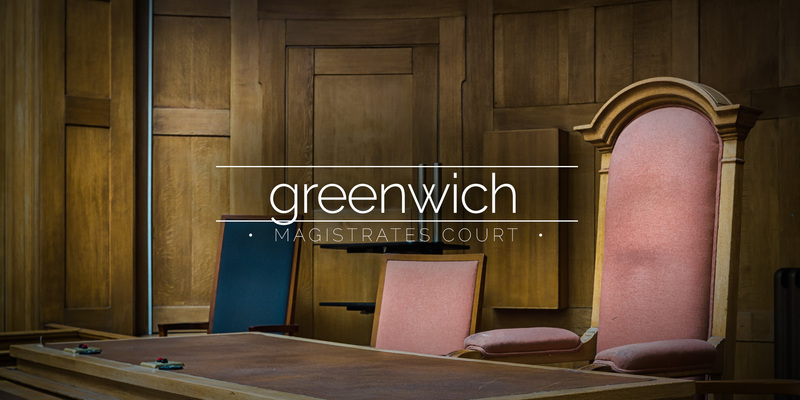 Designed by Architect to the Metropolitan Police, John Dixon Butler FRIBA, the Greenwich Magistrates’ Court opened in 1909 with an integral police station. The Symmetrical frontage is faced in Portland Stone in a free Classical style and features a central semi-circular tablet with Royal Coat of Arms, carved in stone by Lawrence Turner. 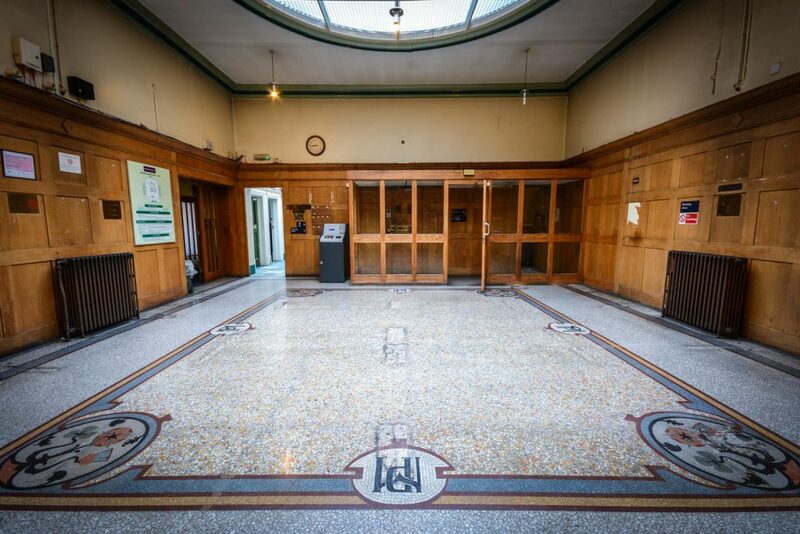 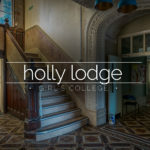 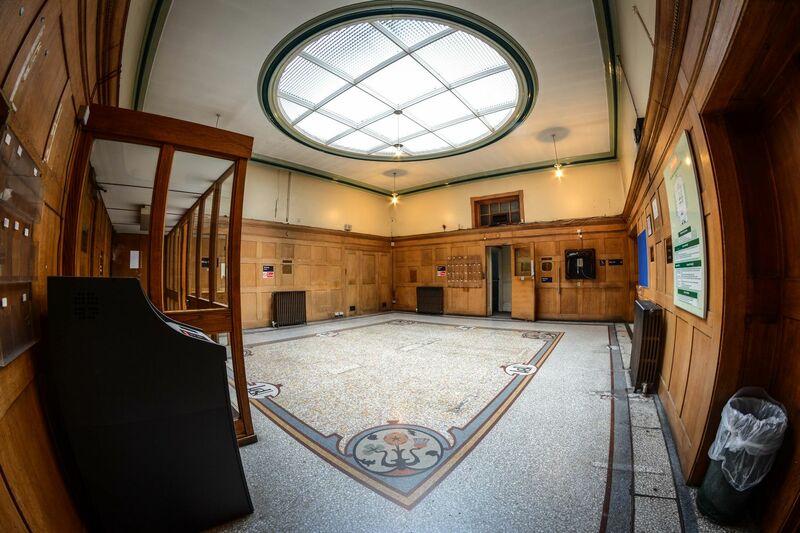 Inside, the entranceway leads to the former police station foyer which has a mosaic tiled floor with MP monogram (for Metropolitan Police) laid by Messrs Diespeker. 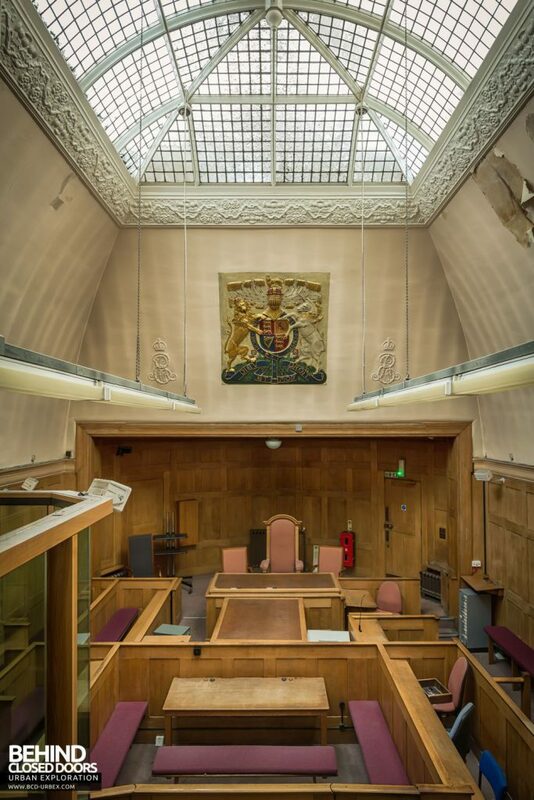 The foyer leads onto Court 1, the main courtroom which is toplit with a decorative plaster frieze around the light well and a monogram of Edward VII in plaster above the bench. 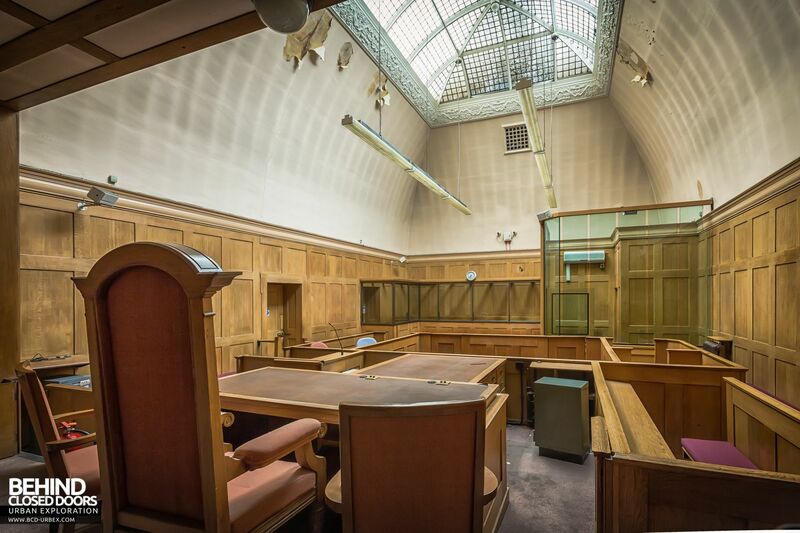 The Courtroom has mostly original fittings and the bench is in a curved recess, up three steps. 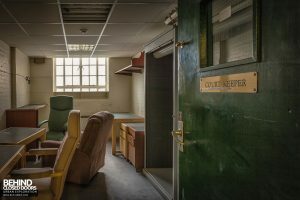 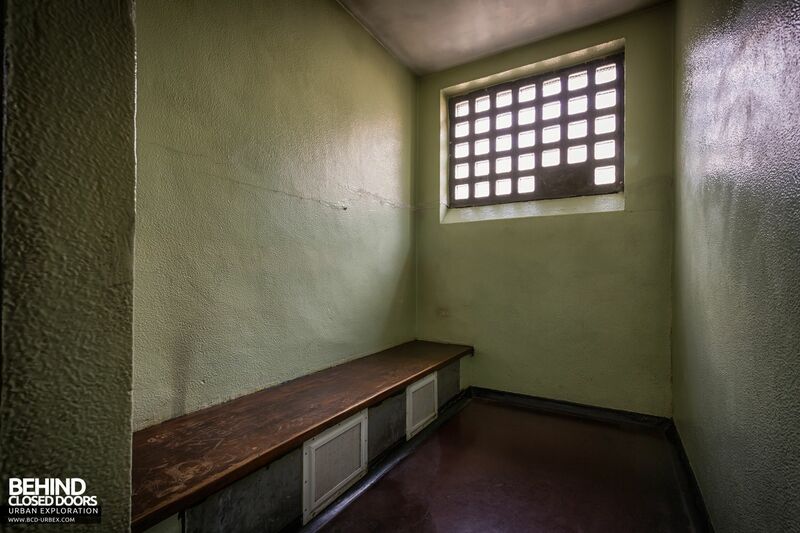 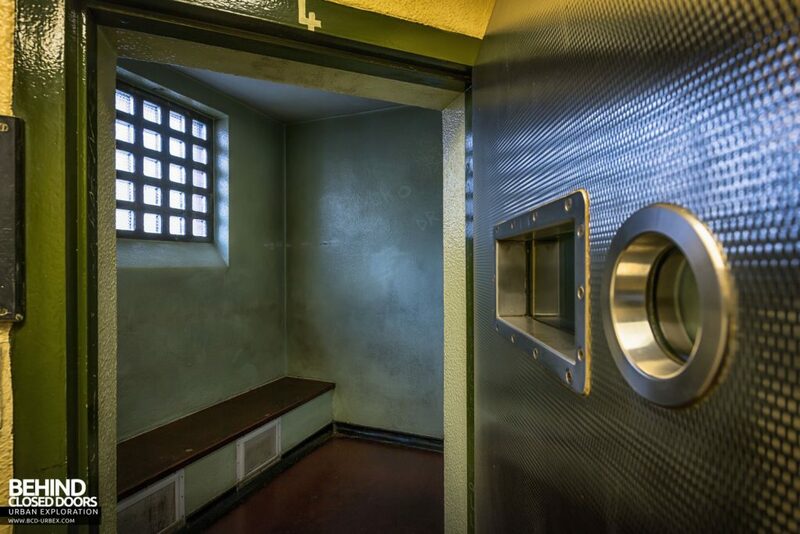 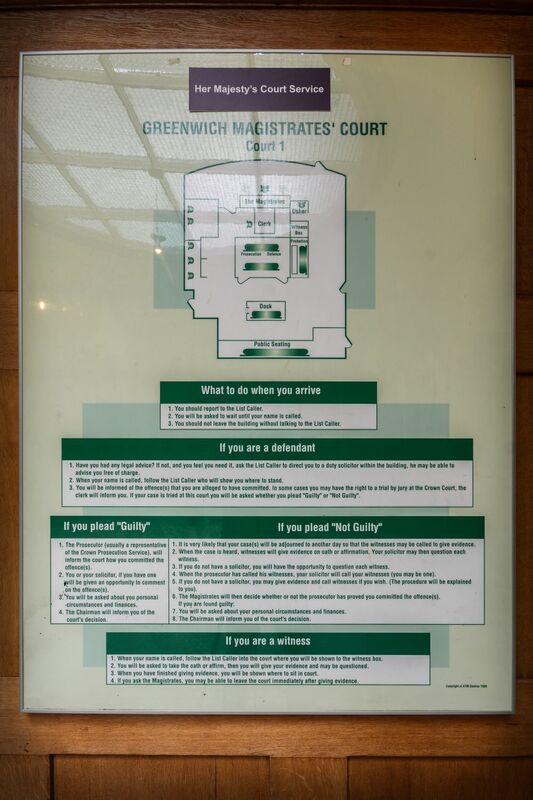 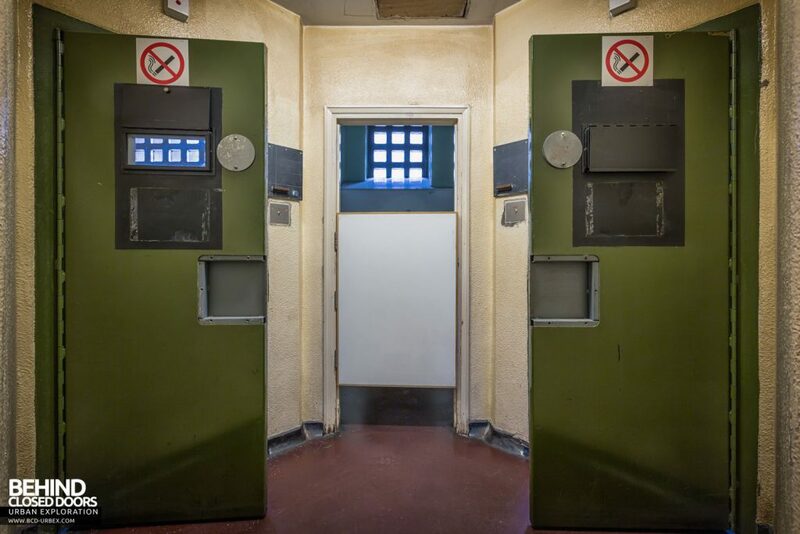 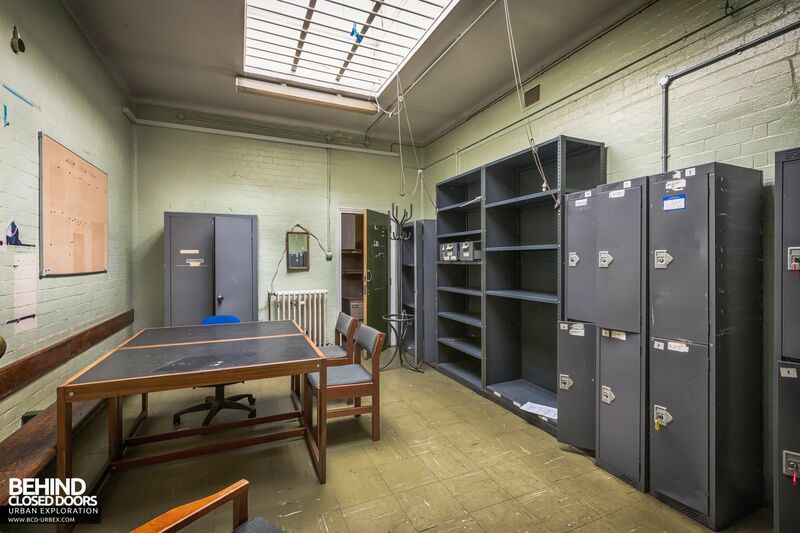 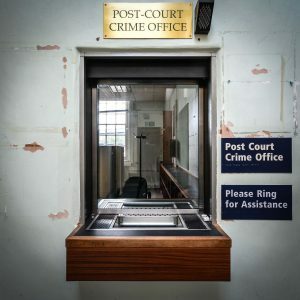 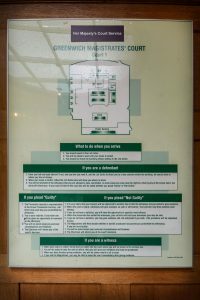 The court has its own custody suite. 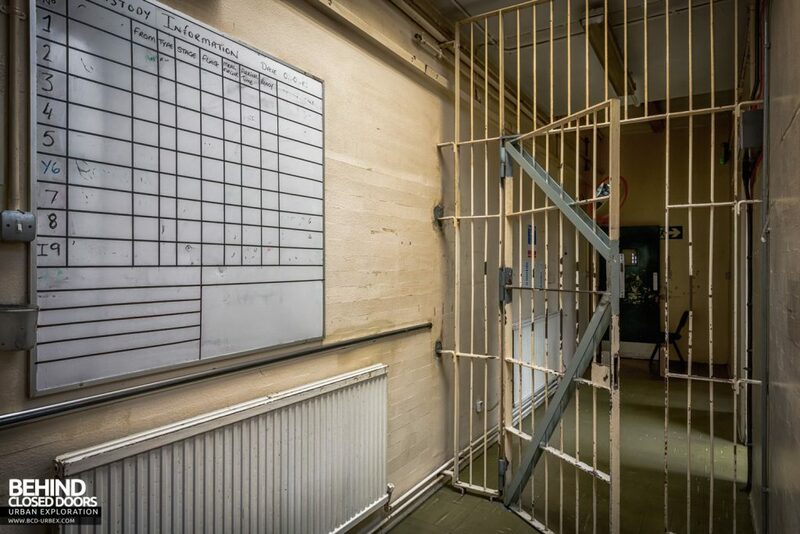 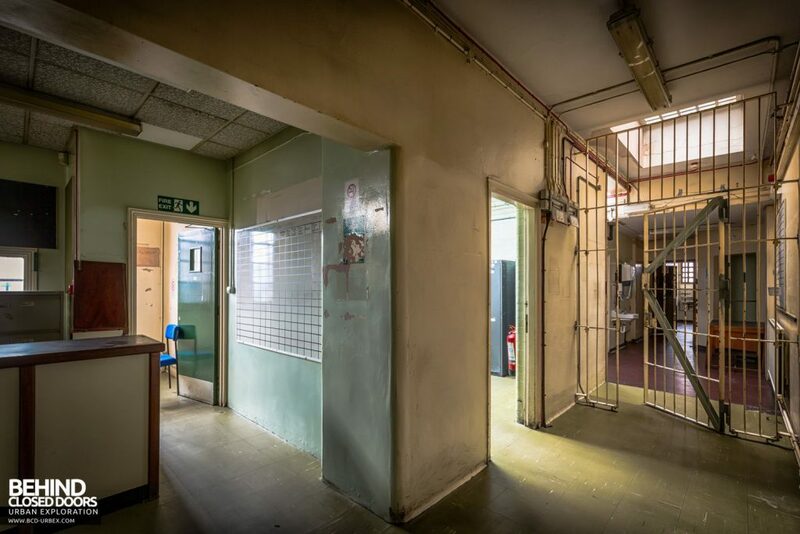 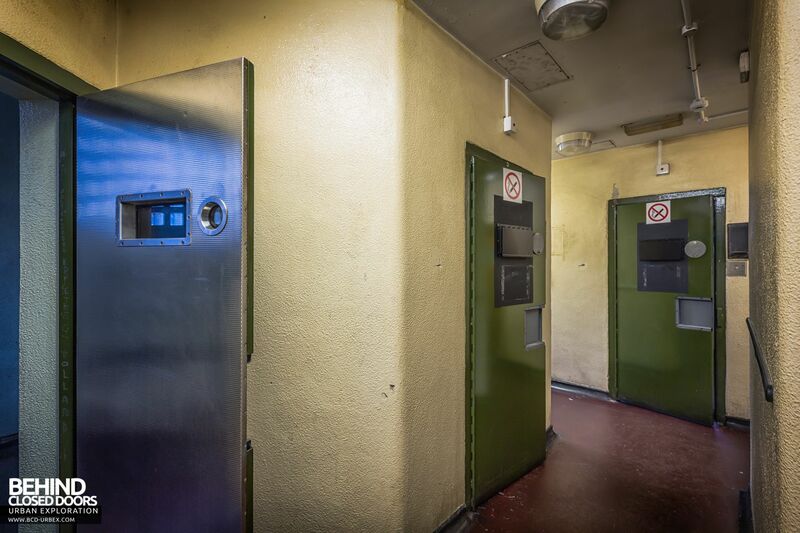 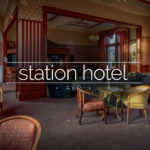 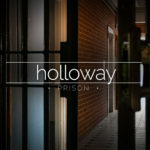 The suite consists of nine prison cells with associated facilities for booking in prisoners etc. 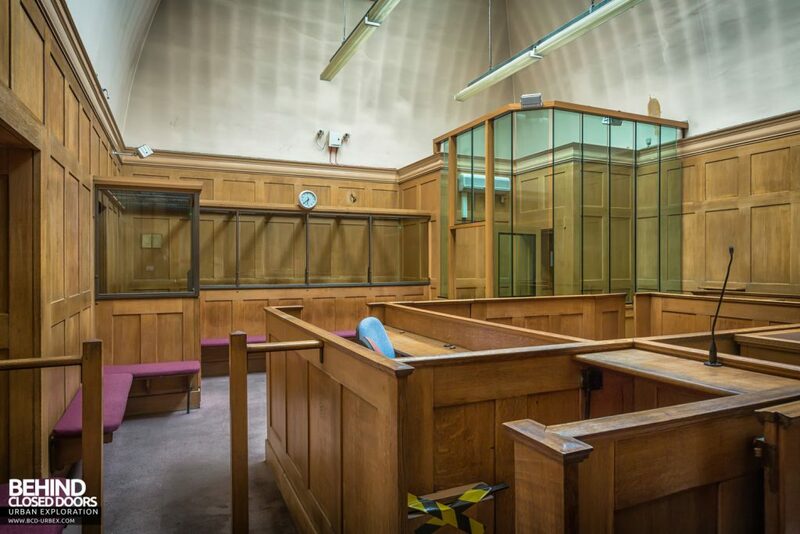 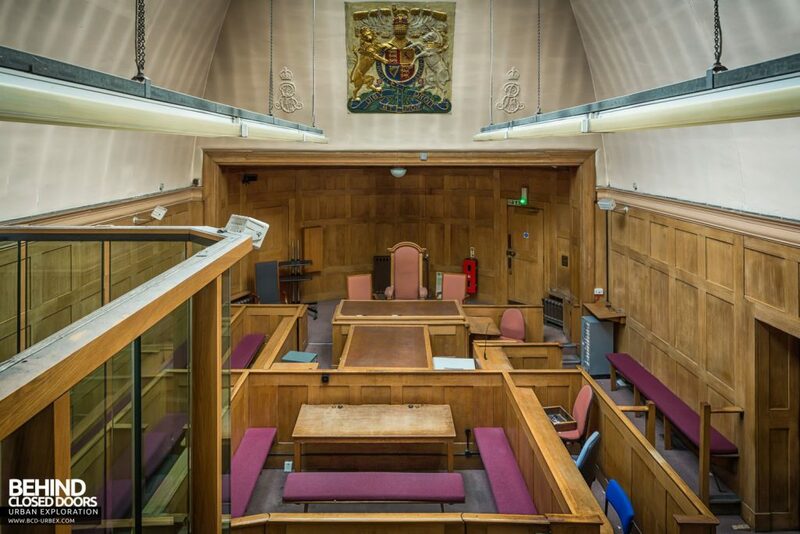 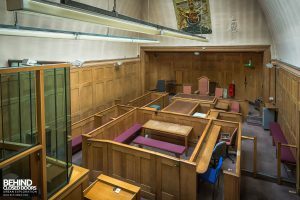 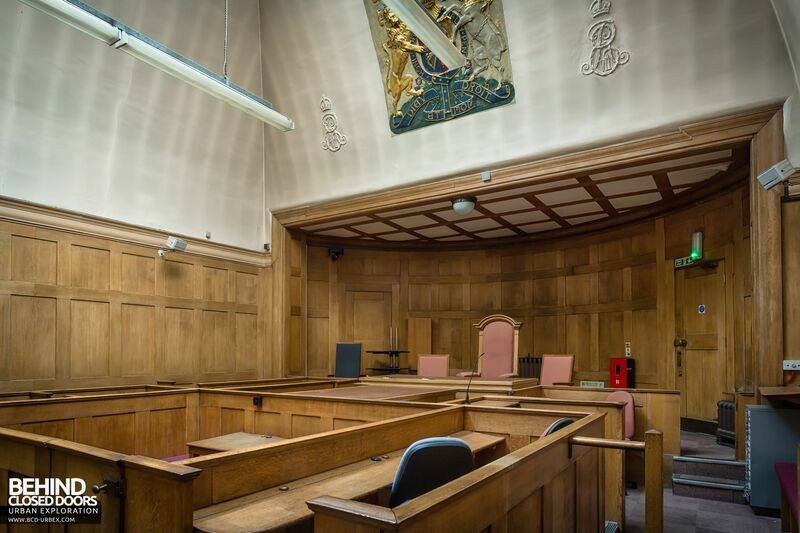 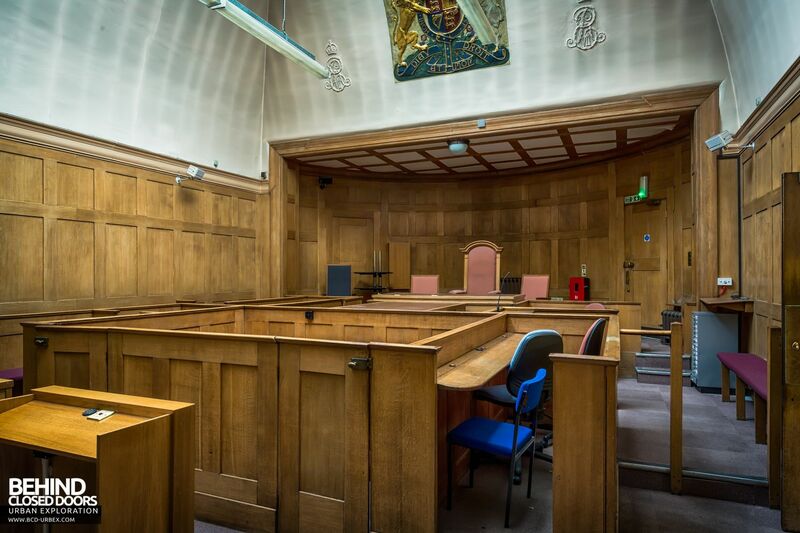 There are two additional courtrooms, the third being added around 1960. 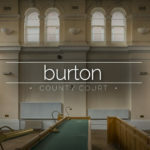 We didn’t get the chance to photograph courts 2 and 3 due to our visit being cut short when the security staff arrived to start their shift. 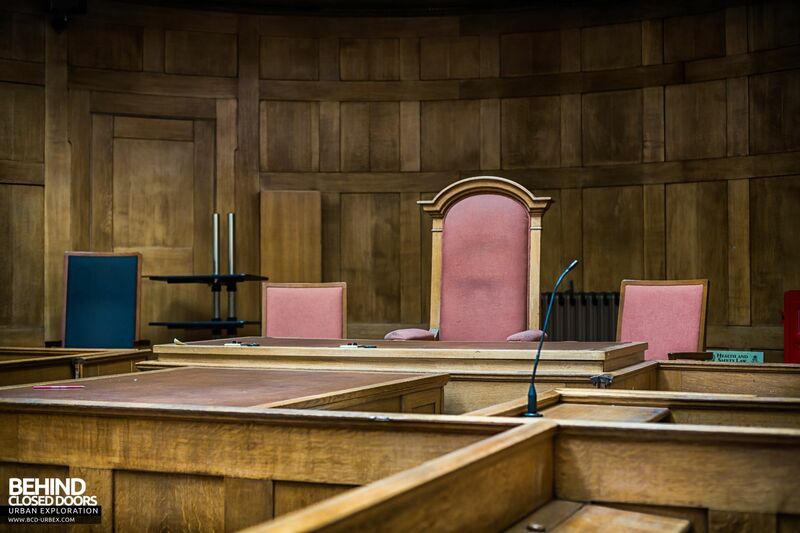 The court closed in 2016 when a government programme identified a number of courts that were used for around only a third of their hearing time. 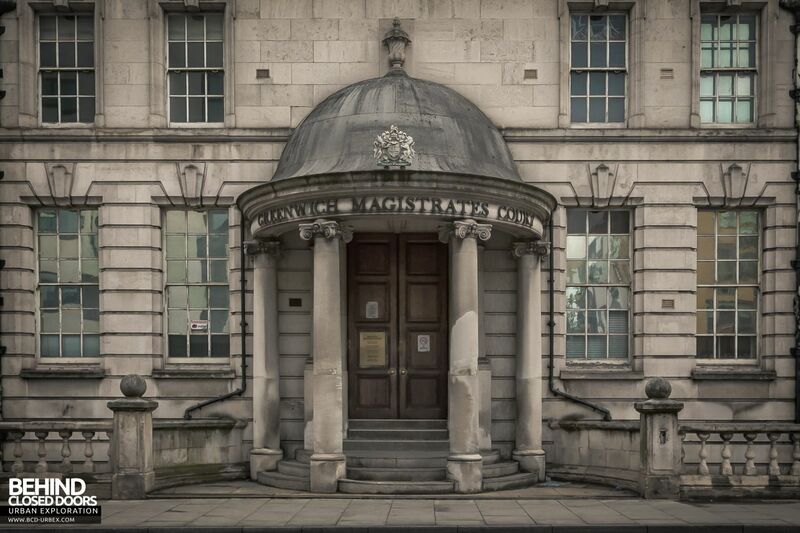 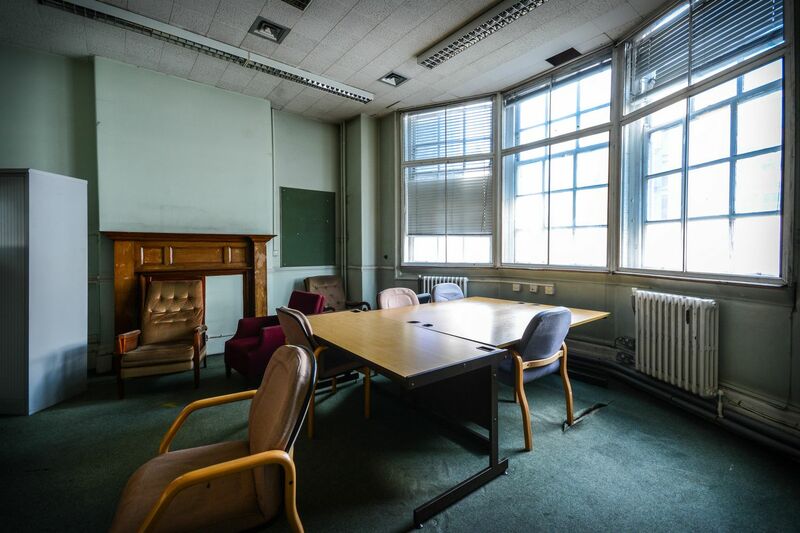 The hearings and workload of Greenwich Magistrates’ Court were moved to the nearby Bromley County Court.